Explaining someone how to do something on a computer is one of the hardest things ever. You can try your level best to explain someone how to do something or you can explain a hundred times, there will still be something that they will not be able to understand. In this case, the best thing to do is to record the screens of your PC and show that to the person you are explaining something too. This is helpful for those people who have freelancers working with them and they need to explain with technical processes to their employees. 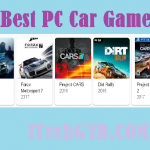 10 of the best PC screen recorders of 2019 for personal computers are mentioned below. This recorder is absolutely free of charge and it helps you to explain the computer processes to others. It offers the initiative to focus on one part of the screen so you can also focus on that particular part only which the other person needs to see. There are also options of screenshotting to URL that can help explain the process better. With the audio settings, you can easily upgrade or downgrade the voice settings and talk to the other person properly. There is also a clipboard feature for keeping a record of the things that you have already shown and sent. Active Presenter is great for those people who need to use screen recorders for presentations and for more interactive explanations. It has interactive features that let you explain everything in more detail as you can also use annotations and graphics for detailed explanations. There is a professional version available which helps those people who need to use screen recording feature in corporate work and functions. Cam Studio is another screen recorder for PC that you can use. It comes free of cost so it is usable for most people. Also, it has lesser features as compared to other but it has some exclusive features that other screen recorders do not have. You can hide the cursor while screen recording when using this recorder. Also, it lets you add sound from a lot of places for a better understanding of the process. 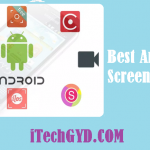 Screenr is one of the most functional features since it does not even need installation. It is free and does not require to be installed. It can work on the browser easily. 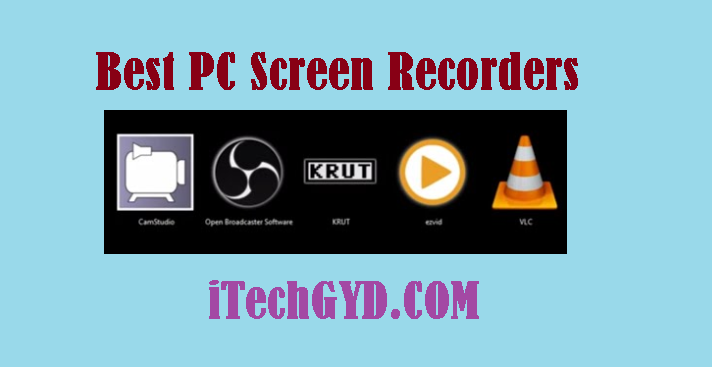 All you have to do is have Java on your PC and you can just search the website of Screenr on the web and start recording your screen for explaining purposes. It works well with your PC but it can also work with other devices that have internet working on them. Rylstim is also one of the best screen recorders out there. Recording on this recorder is quite easy as all you have to do is start recording and once you are done, you will have a recorded video at your hands which you can just send to anyone for explaining any kind of professional or just everyday process. Rylstim Screen recorder works quite well with Personal computers and also is available for portable devices so you can take advantage of it even outside the house. Just install this recorder for free and then you can choose which place you want to install it to along with choosing the frame and codec. Jing is a free project of TechSmith. Their earlier recorders were costly so they came up with a free version for those people who cannot afford it. With Jing, you can record videos easily and send them with ultimate convenience. There is an option for setting up hotkeys which can be used to make the whole sharing and making the process easier. The recorder also comes with free tech support at all times so if you ever have a query or your run into a problem, you can just consult the tech support and get your problems solved. Snagit is also a project of TechSmith. It is a premium feature but also has a free trial version. This recorder comes with a lot of editing features so even professionals and corporate employees can use it to make recordings of their explanations of various business and corporate processes. There are also cloud and hotkeys functions available to provide more ease and convenience to the professionals. EZVID is also another video recorder that is suitable for those people who use Youtube and record their screens for uploading on their Youtube channels. It has an in build editor so you can easily edit your videos without using any external editors. It is free so it is best for those people who have just started. Webinaria can also be used for screen recording. It comes with editing tools so you can Add text to your videos and send it to people. Also, you can make the videos with your own voice as a voice over while making videos to explain the process even better. You can also certain hotkeys to ease the process of making recorded videos. Also, it is free of charge so even new You tubers or business people can use this recorder for teaching any process to people. Camtasia Studio is an effective recording app that can be used for PC. 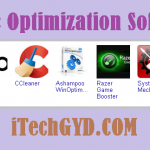 It has quite efficient editing tools that can be used for making the videos even better. It is a premium feature so you have to pay for it but it is worth the price and it is affordable for corporate workers and professional video makers. Camstasia is available for Windows and Mac. Moreover, it can be integrated with Google drive for better functioning. All these screen recorders have their own distinct functions and none of them will disappoint you. Just download any one of them and you can start recording your screen for personal or professional use.